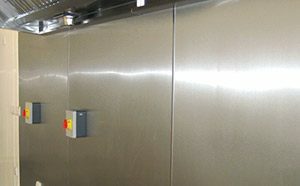 We provide commercial extract hoods & systems that can revolutionise your commercial kitchen. Our range includes extract only hoods, extract & air input hoods, island canopy sections, service distribution units, air input systems, odour & noise control products and a bespoke, build your own service that tailors your every need. 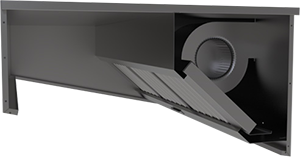 If you’re in need of commercial extraction hoods, commercial extractor fans or entire commercial kitchen extraction systems, then CK Direct are the trusted industry supplier. CK ReCirc™ units work as a normal Commercial Kitchen Extract System without the requirement of any external ducting. With our advanced technology and air purification system. 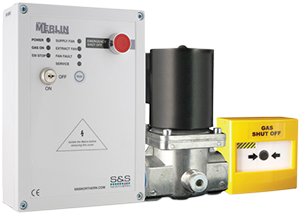 CK ReCirc™ units are suitable for any commercial cooking application. With standard sized extract systems ranging from 1000 mm wide up to 6000 mm our units will fit anywhere. With 4 different stages of Filtration removing grease, odour and smoke, at no extra cost we have added Franke Cascade™ High Efficiency Grease Filters to the extract hood giving you total confidence that your new system is Clean, Fire Safe, Cost efficient, Environmentally Friendly. In order to give you a greater choice of electrical cooking equipment, CK ReCirc™ are available in 8 standard sizes but bespoke units are available to whatever size is required, even Island Canopies. 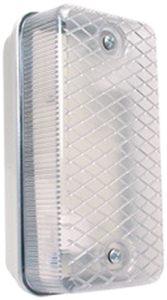 All units are fitted the same levels of high filtration required. Units are fitted with single phase fan motors for up to 3000 mm canopy system. Over 3000 mm extract fans are fitted with 3 phase fan motors. We offer all the standard sizes, if we don’t have the size you are looking for, call us and we will fabricate to your requirements. 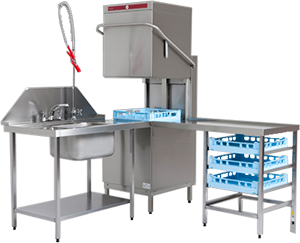 Our commercial extraction hoods & commercial kitchen canopies are great looking pieces of equipment, but more importantly, they are reliable and can be counted on to do the job well. The importance of extract hoods should not be overlooked as they help to keep your kitchen clean, by minimising airborne grease & smoke, as well as neutralising or recycling cooking odours and smoke completely. It can be difficult to decide which kitchen canopy is right for you, but you can find all the information you’ll need to make the correct call. The air in a commercial kitchen can become full of grease, smoke and cooking odours very quickly and sometimes a bit of help to purify the air is needed. This is where our extract & air input hoods come in – the hoods can replace and supply air into the kitchen environment via the canopy. The air that is pumped into the kitchen forms an air-curtain effect, which provides kitchen staff & chefs with a blast of cool air that alleviates the effects of radiant heat. Each of our extract & air input hoods are suitable for electrical & standard gas appliances, so no matter what your kitchen requirements, CK Direct will have you covered. Replacement air can be supplied into the kitchen via the canopy. 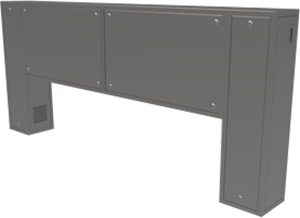 A full-length integral fully insulated make-up air plenum can be incorporated inside the front face or perimeter of the canopy, parallel to the extract plenum. Or in the case of island canopies, a plenum on each of the canopy faces parallel to the extract plenum. Is the normal method of introducing the replacement air into the kitchen. Enables a jet of ambient air to be injected within the canopy via a slot at the lower internal edge of the canopy face, parallel to the extract plenum. 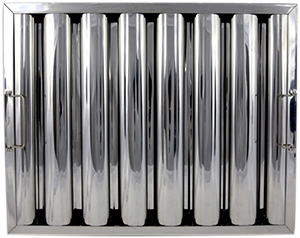 Creates an air-curtain effect, providing kitchen staff with a cooling air flow to alleviate the effects of radiant heat and forming a barrier to the rising thermal currents. Or any combination of the above options can be incorporated into the face of any canopy. If your commercial kitchen happens to utilise island cooking areas, then these commercial kitchen canopies are exactly what you need. 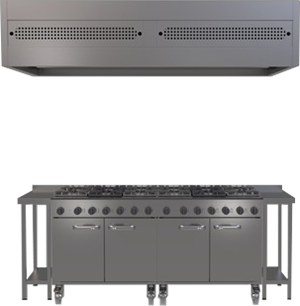 As well as looking aesthetically pleasing, the canopy or hood has superb extraction abilities and is capable of removing bad air from the kitchen area and, with certain models, can actually cleanse and then recirculate air back into the kitchen. The last thing you want to be doing is filling your busy kitchen with steam, smoke and harmful fumes, so the installation of an island canopy is vitally important. Once it is installed, you won’t believe how good it is at its job. 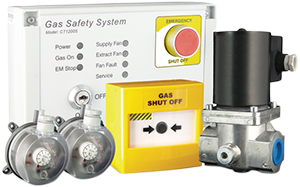 The CK Direct range of Service Distribution Units provides off the shelf components affording a cost-effective way of distributing services to commercial cooking applications. Our system is totally modular in its construction and is expandable to facilitate any cooking line-up. Pre-assembled off-site, the unit eliminates the coordination of other trades, allowing a single point of connection for final connections of service. Why is it necessary to have air input? When air is extracted from a kitchen, replacement air will be drawn into it from outside. In order for a kitchen ventilation system to work correctly, both the extract and fresh air flows must be considered and planned for. If fresh air is not introduced into the kitchen via a dedicated ventilation system, all the air extracted through the canopy will have to be made up of natural infiltration air coming in through any other room opening, (ie doors, windows etc). The recommendations for natural infiltration air are for 15 to 20% of the total air extracted. This will maintain a negative pressure in the kitchen and help prevent odours escaping into adjacent areas. If your kitchen is getting too steamy then consider one of our condense hoods to direct the flow correctly, usually over sinks, dishwashers and pot wash areas. We can fabricate to any size. Please allow a lead time of around 3/5 days for delivery. Bespoke canopies can be made to order any size, any shape. If you are pushed for space or are only using electric appliances, then this affordable option should be the one for you. Choose your size and then be assured the fan is internal of the canopy for a space saving option that’s hard to beat. 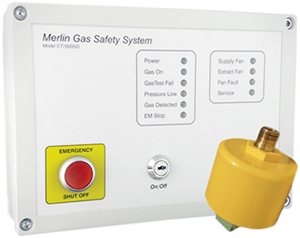 Suitable for standard Gas & Electrical equipment. Each piece of equipment to have maximum overall depth of 900mm front to back. Does Your Ventilation & Extraction Need Cleaning? When it comes to commercial kitchens, there’s a lot to think about when installing canopy’s and ducting systems. But once everything is purchased and installed, there’s still one very important thing to understand: Your ducting DOES need to be professionally maintained. If you are still unsure, then we can send a trained engineer to your premises to carry out a full and professional kitchen ducting survey (chargeable).